TULSA -- Police say a man is in custody after a 15-hour standoff inside the Rest Inn & Suites on East Admiral. A police information officer confirms the suspect, identified as 49-year-old Rush Lincoln Hembree, was taken into custody just before 3:30 p.m. The man is from Nebraska and had his girlfriend, who is pregnant inside the room. The woman is safe but police said the suspect was holding the woman against her will. Police shut down East Admiral between 74th and 78th East Avenue while officers attempt to get the man to cooperate. Businesses in the area might be affected until police clear the scene. 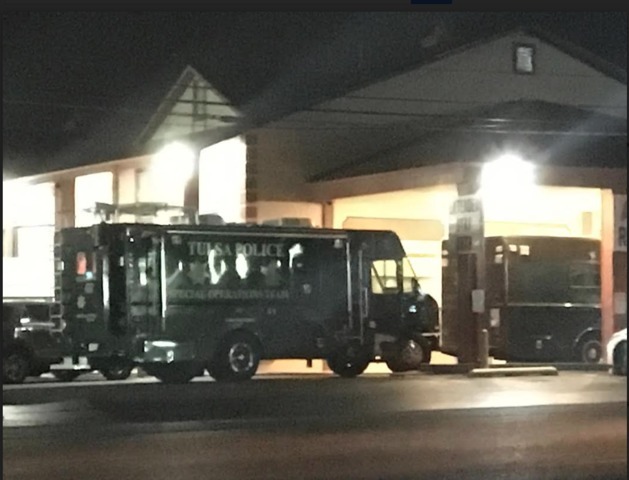 Around 10:30 p.m. on Tuesday, officers were searching the motel's back parking lot after seeing a truck with the lights on. The truck registered to a suspect wanted for a felony warrant. Police say the suspect asked officers why they were looking at his truck, and then ran inside a room. He threatened officers that he was armed with a shotgun. The man is wanted for a felony for manufacturing fully-automatic weapons. Tulsa Police Special Operations Team, Bomb Squad, EMSA and Tulsa Fire Department are at the scene.